I got an invitation to Picotube, the winner of TechCrunch Tokyo 2011 start-ups battle, from id:jkondo and gave it a try immediately. It's almost a clone of turntable but there's one big difference between them; Picotube supports playing videos retrieved from youtube, on the other hand, turntable supports just only sounds. It's very fun. I think it must make a big hit if someone wouldn't disturb the service. 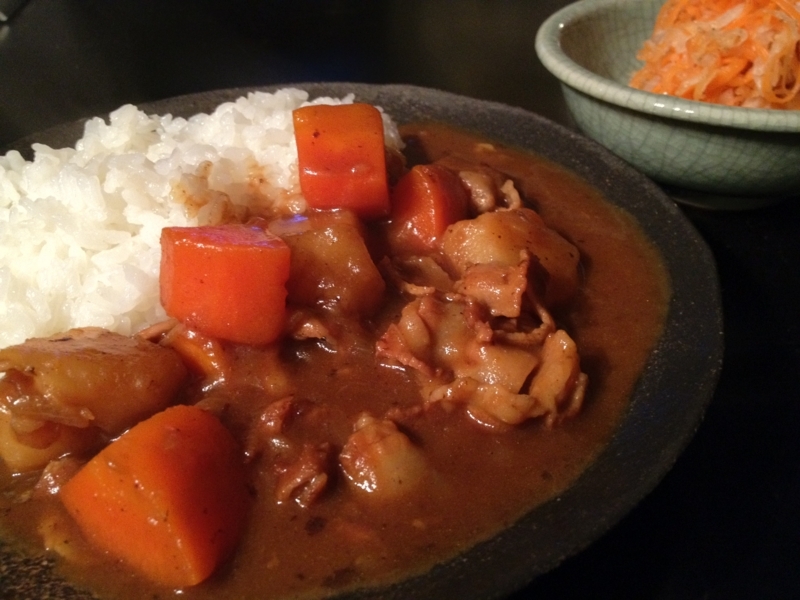 Playing and watching videos at that website, I cooked curry and rice using the rest of おでん yesterday. It became more delicious than I expected! The soup from おでん was great also with curry and rice.